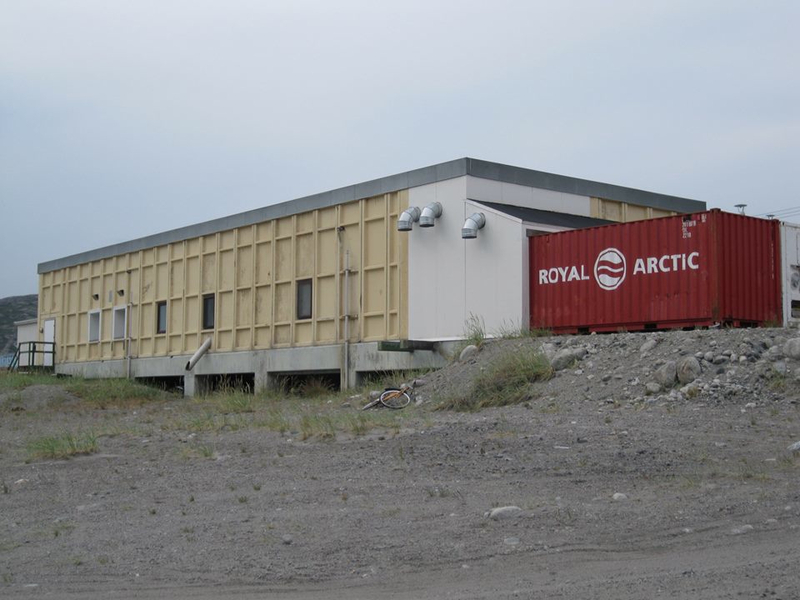 Urban development in the High Arctic can be a drab affair. Buildings are inelegant steel boxes fit for lunar colonies, clustered against withering winds and inhumanly low temperatures—"post-industrial morgue" might be the cynic’s take. Walking the dusty gravel of Kangerlussuaq, a town of 512 inhabitants in western Greenland, I stopped before the improbable "King Kong Bar." In simple green letters on peeling white plywood, the sign hung above a cave-like entrance carved directly into the steel shell of a faded red shipping container. Disembarking the plane earlier that day, passengers immediately flooded the duty-free liquor shop before retrieving luggage or transiting further north on smaller planes. It was sobriety’s assault on booze—"no bottle left behind! "—a comedic scrum captured move-for-move in Lawrence Millman’s Last Places: A Journey in the North: same scene, different Greenland airport. Customers stood three bodies deep as they scoured the shelves, carefully selecting bottles before shuffling through payment lines. Outside, they trundled their cases of liquor atop wheeled luggage carts onto a dusty gravel road toward awaiting cars or, further along, monolithic housing structures adjacent to the landing strip. Those with cars promptly disappeared in a cloud of dust, despite Greenland having no roads connecting its sparse coastal settlements. With topographical maps bought at the airport shop, I shouldered my backpack and kayaking gear and followed the human train out into a cold brilliant light. Against this windswept drabness, Kangerlussuaq’s dearth of urban signage gave the King Kong bar a certain salience. The contrast to home seemed total: with a dead smart phone I was officially “off the grid” and felt flung decades back in time. Yet the bar’s wry reference to Hollywood and the planet’s oldest social lubricant reminded me that despite twice crossing the Atlantic in the last 24 hours (DC-Copenhagen-Kangerlussuaq), I hadn’t traveled that far. A single road led from the airstrip out of town towards the ice cap, presumably for tour buses and day-trippers. Two Danish trekkers directed me to the town’s one youth hostel where I dumped my kayaking gear and set out for a light ten-day wander along the periphery of the inland ice cap. I’d then return to town and connect with others for a two-week kayak journey out the long Kangerlussuaq fjord into the Davis Strait. Would Baffin Island be visible, looming on the distant Canadian coast? That night I hiked under a radiant but eerily distant sun until two in the morning. I pitched my tent beside a silent lake left by a long-retreated glacier when Mastodons roamed freely, before the advent of Vikings and Inuit hunters. An empty stillness in the valley surrounding the lake gave way to the low hum of primal electricity and untold stories; I could not sleep. An Arctic hare hopped along a rock-strewn ridge, receding into the dimming polar night. In my preparatory reading I’d paid little attention to Kangerlussuaq itself, my portal to the island. It had no historical link to the country’s long line of Inuit, Dorset, and Norse inhabitants. Absent this connection it was a random strip of tarmac on which local planes could land. The town’s origins were purely geopolitical, a twentieth century Cold War installation built by the US Air Force in 1941 and abandoned in 1992. Standing under a silent array of colossal satellite dishes peering down like snipers from the canyon walls around the town, it felt eerie and desolate, a graveyard of discarded intentions. But my brush with King Kong had triggered a few forgotten facts about this time capsule town, a fossil from America’s early career as a titan of global espionage. Its proximity to a timeless fjord and world famous ice cap held potential to attract endless amateur adventurers, but its political history and current state as an unearthed fossil from America’s Cold War was an unwritten tale of its own. The site of multiple Paleo-Eskimo migrations in prehistoric times and a failed colonization by Norse Vikings around 900 AD, Greenland came under Danish rule in 1721 following a state visit by missionaries to spread the Reformation. Now a semi-autonomous province (Kalaallit Nunaat) within the Kingdom of Denmark, it’s roughly equivalent to Puerto Rico’s relationship to the US. But when Germany conquered Denmark in 1941, US forces assumed security for Greenland, building several air bases (Kangerlussuaq among them) around the rim of the giant ice cap that covers 80% of this landmass, the largest island in the world. A second agreement with the Danes in 1951 allowed the Americans to convert Kangerlussuaq (then Sondrestrom Air Base) into an anti-Soviet early warning and listening post. The mushroom fields of gargantuan radar antennae along the town’s surrounding slopes first appeared in that era, spreading and updating well into the late 1980s. In their day, the Thule and Sondrestrom airbases housed more modern technological hardware, civilian and military, than Greenland and Denmark combined—hence the appeal of a Danish anti-Soviet pact with the US. When the Cold War defused in the early 1990s, the US government sold the Sondrestrom airbase, its ancillary infrastructure and deepwater port to Greenland authorities for the symbolic amount of $1. With its handover Greenlanders were granted the keys to entire towns full of once top-secret, state-of-the-art espionage infrastructure, now in slow-motion decay. The abandoned base was rechristened “Kangerlussuaq,” the Inuit name for the adjacent fjord. 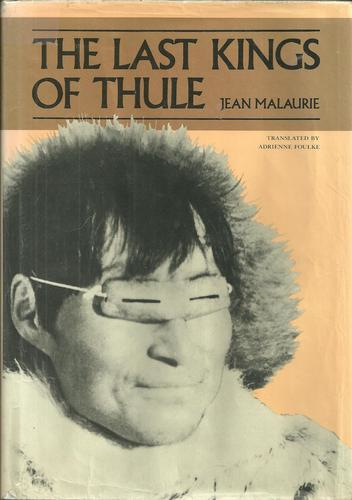 In its isolation, the base came to embody a distant superpower’s greatest fears: the Pentagon’s gazillion dollar insurance policy in the form of acres of eavesdropping radar to detect preemptive strikes, paired with the ballistic missile field further north in Thule (from Virgil’s Ultima Thule—"beyond the borders of the known world"). Once a source of solace to Washington, the fate of Kangerlussuaq was now dust and rust. 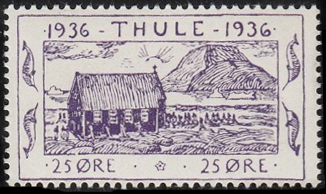 Built in 1951 and still operational, Thule saw great political controversy between the US and Denmark after the much-publicized B-52 crash and near-catastrophic nuclear accident in 1968. Built in secrecy from the world but in plain view of a band of resident hunters, whose astonishment at this extraterrestrial event Jean Malaurie describes in The Last Kings of Thule (“men who lived by the harpoon found themselves in the atomic age”), the base continues its surveillance of missiles and satellites aimed at North America, in collaboration with Danish and Canadian forces. Not so Kangerlussuaq, which slid into oblivion after the last American left in ‘92. With no Inuit neighbors, idyll prevailed until the early 2000s when Air Greenland appropriated the airstrip and hangars as a logistics base for its northern routings. Soon a trickle of civilians began to arrive, attracted by airport jobs and potential for local tourism. Landing in a former hotbed of Cold War stealth was the least of my expectations on a visit to Greenland. My initial excitement was tempered by an increasing vexation as I began to grasp the geopolitical origins of the place, the source of its King Kong humor, and the entire architectural mausoleum before me. Imagine a visit to Hiroshima with no prior knowledge of the incandescent atrocity that befell its citizens decades ago. Wandering the assembled memorials and commemorative sculptures, reading the pall on faces locked in remembrance, a faint air of culpability becomes indelible, undeniable. Hiroshima, you realize, was a monument to incendiary designs born of your national psyche, not that of the mourners gathered. Kangerlussuaq today recalls a different strain of American bellicosity, the perpetual and plodding Cold War. It is a legacy that hardly resonates with Greenlanders there. My grappling with these ghosts yielded to brighter promise as I spoke with more locals, all of whom had come from elsewhere in Greenland to try their luck. The tourism, hunting, and fishing opportunities here were proving transformative. The past was not a shackle but a platform on which to build. Trained as a philosopher, Ed Rackley works in foreign disaster relief. When not on mission he’s sea kayaking or off-road bike racing. His book reviews, travel essays, translations, and field studies have appeared in Disasters, Multitudes, Christian Science Monitor, Graduate Faculty Philosophy Journal, 3Quarksdaily and other online magazines. He is a contributing author and co-editor of Catastrophe: Law, Politics and the Humanitarian Impulse (2009) and R.D. Congo: Silence, On Meurt (2002). He lives in Washington, DC.